50 Cent reassembled his G-Unit earlier this month to release their new EP The Beast Is G-Unit. Promoting the new batch of tracks, they stopped by the Tonight Show with Jimmy Fallon. With some assistance from the Roots, the five-piece performed their heavy, aggressive brag anthem "I'm Grown." 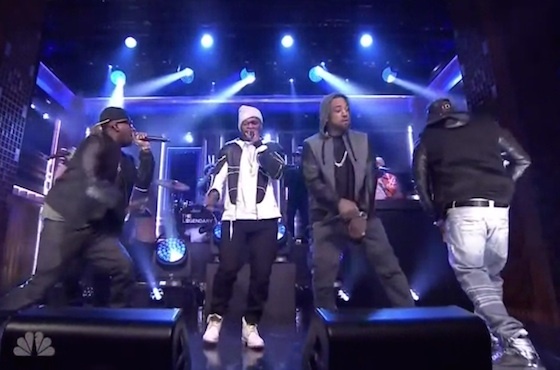 Watch G-Unit take over Fallon below.